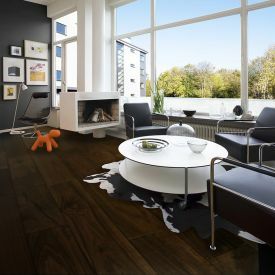 Medium dark floors exude a sleek sophistication. 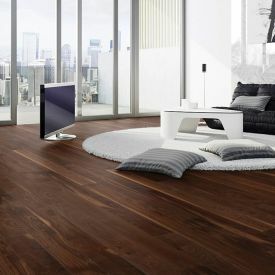 When paired with bright walls and the right coloured décor items, dark floors can actually liven up your space. The trick to bring in more light is to contrast your floor with brighter and cleaner colours in your furniture, walls and ceiling that will help balance your space. 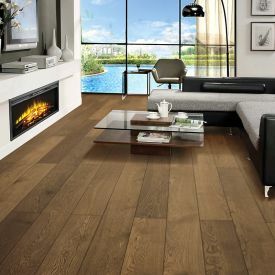 Swiss Hardwoods-Bourbon-Single Strip-European Oak floor is like it is custom made for straight forward people who see the world with open eyes and clarity. 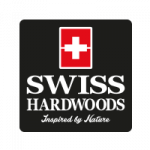 At Swiss Hardwoods we believe beauty is natural. 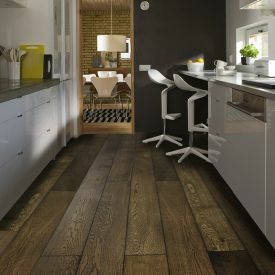 We enhance our floors natural beauty by using Rubio Monocoat® Oils for our surface treatments rather than use lacquers. 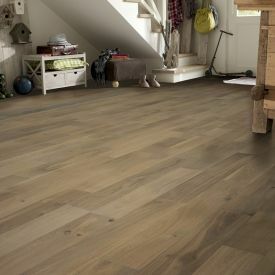 An oil finished floor provides protection from both the inside and outside. 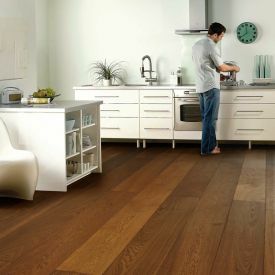 With zero volatile Organic Compounds emitting from a natural product, a Swiss Hardwoods oiled wood floor adds to the indoor air quality. 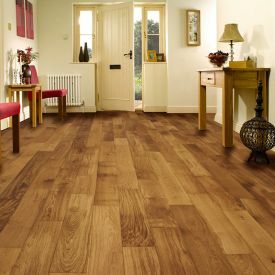 How to choose flooring for your living spaces like an expert?